“He was not of an age, but for all time.” – Ben Jonson. This is what Shakespeare’s colleague and competitor dramatist had to say about Shakespeare, upon his death in 1616. His final exit after he had retired to his family home in Stratford upon Avon. Yet what he had accomplished since his entrance, born 1564. For Shakespeare is undoubtedly one of the greatest playwrights the world has ever seen – perhaps the greatest of them all. Conspiracy theories aside, the fact remains that Shakespeare wrote an average of two plays a year, during his productive years, in the 1590’s and first decade of the 1600’s. And he is one of the very few playwrights whose work has so successfully crossed national, cultural and linguistic boundaries. From London to Moscow and from Shanghai to San Franciso – Shakespeare’s plays are performed and applauded. There is now a veritable revival, although not of course the first, of Shakespeare underway in London and throughout the United Kingdom. One example, among many, is the current adaptation of Henry V performed by Jude Law at the Noel Coward Theatre, playing to packed houses. Shakespeare it would seem, is more popular than ever. And why is that the case? The answer like so much in nature and society, lies not in one reason alone but in a variety of factors. For one thing, Shakespeare is accepting of all and is remarkably open minded, amazingly so for one from the Elizabethan age. He was tolerant of different ethnicities and cultures – having had an affair with the famous ” dark lady ” who was probably from southern Europe and writing of Jews as being not at all dissimilar from anyone else. He was in short, a true humanist. Also, Shakespeare is able to existentially understand how most people who are not of the elite, think and feel. He knows what it feels like to be an outsider because he was, to some degree, one himself. 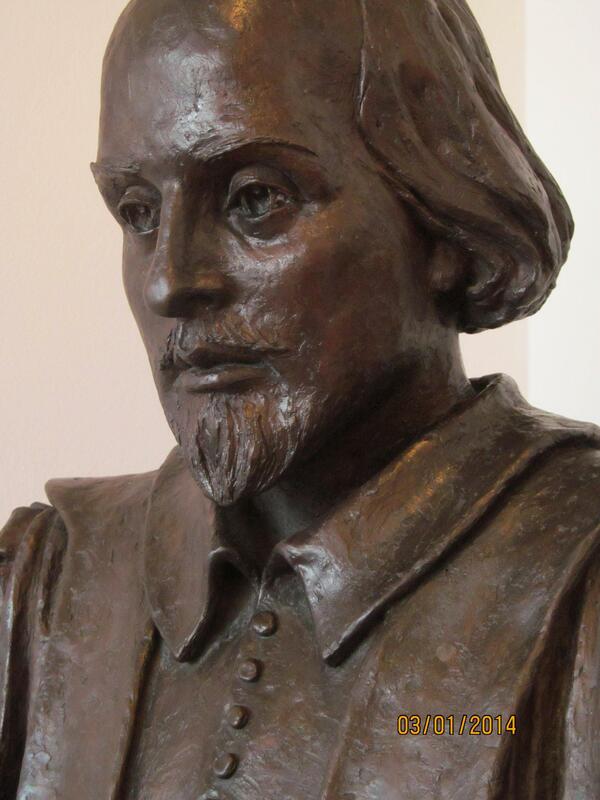 Shakespeare was raised in a Catholic family and had many Catholic friends at a time when English Catholics were persecuted and hounded as if they were all Spanish spies. And yet for all that, his point of view is always fair and even-handed. And of course, last but not at all least, there is the sheer breadth and stunning quality of his poetry, comedies and tragedies. Shakespeare, perhaps as no other playwright before or since, was able to see life and the stage from an actor’s perspective. As he writes in Hamlet: “Assume a virtue, if you have it not”.